Consumer demand for personal devices is the driving force behind low-voltage semiconductor and sensor technology, but as voltage drops, communication errors can increase. 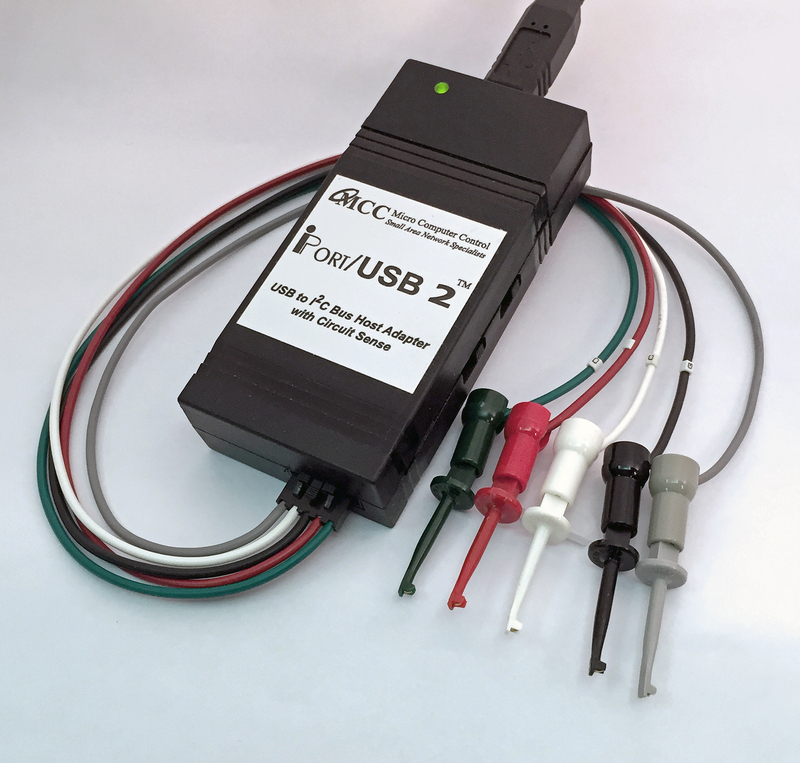 Engineers working with low-voltage I2C Bus devices will find Micro Computer Control’s new iPort/USB 2™ I2C Bus host adapter with Circuit Sense™ can communicate with embedded I2C Bus components at a wide range of bus voltages. Circuit Sense, an I2C Bus voltage monitoring technology, tracks the operating voltage of the bus, automatically adjusting digital logical levels to compensate for variations in bus voltage, and reducing communication errors. Capable of tracking I2C Bus operating voltages of 0.5v to 5v, or powering the bus at 3.3v or 5v, the iPort/USB 2 enables engineers to debug, test, program, configure, or simulate a wide variety of I2C Bus devices, including the latest generation of low-voltage components used in personal fitness devices, wearables, smartwatches, and mobile phones. The iPort/USB 2 is MCC’s seventh generation I2C Bus adapter, and is the latest addition to the software compatible family of adapters used by leading technology companies world-wide. Free support for the iPort/USB 2 includes Virtual ComPort drivers for Windows, Linux, and Mac OSX, utility applications for bus master and slave operations, iBurner EEPROM programming app, and software development tools for MS.NET, LabVIEW, and direct access via ASCII-Text commands. The iPort/USB 2 is available now. See www.mcc-us.com/iPortUSB-2 for more information. Micro Computer Control Corp. (MCC) is a privately held technology company specializing in small area network applications, including I2C Bus and other chip-to-chip communication networks. 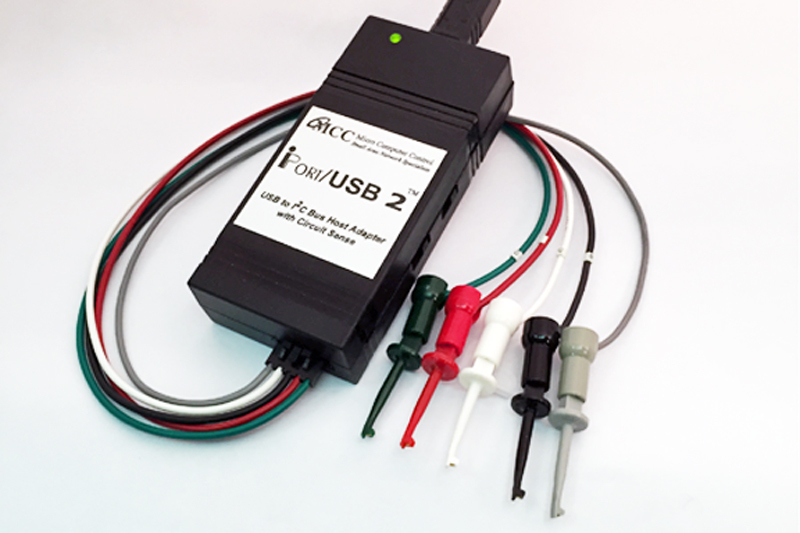 MCC products include bus adapters and monitors, with USB, Ethernet, or RS-232 host computer interfaces, and one to thirty-two separate I2C Bus ports. Customers include electronic and software engineers, programmers, test and production engineers working on a wide variety of consumer, computer, network, fiber optic, aerospace, military, and medical electronic products.